The metropolitan areas tend to capture more domestic and foreign investors’ attention compared to provincial towns. A local city, Kyoto, however, is popular as ever despite its location. There are 17 World Heritage Sites dotted around the city, including Kiyomizu temple and Golden temple. 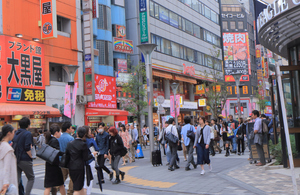 Every visitor can feel the Japanese history and culture just by walking around the area. 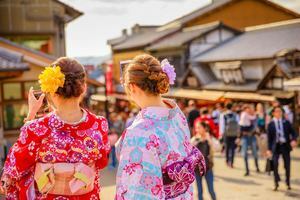 Hundreds of Japanese and foreign travelers visit Kyoto every day. Kyoto is definitely one of the most famous tourist spots in Japan, and many people overseas consider Kyoto as a place for sightseeing. 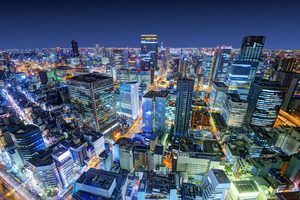 Sightseeing isn’t only what Kyoto can offer, however, the city also serves as industrial area, accommodating dozens of leading international corporations such as Nintendo, Omron, Kyocera and Shimadzu manufacturing. The city is also known as a “student city”. The number of universities and junior colleges per 100,000 residents in Kyoto ranks the top in Japan. One in 10 people in Kyoto is a student. The industrial and academic sides of the city attracts both domestic and foreign investors. Single-person household has 40% of the population in Kyoto. This number isn’t as high as Tokyo’s 49%, but it’s significantly higher than the average single-person household in Japan (32 %). There are many university students and people who are temporary transferred to work in headquarters or branches of large corporations. However, there are only limited number of properties available in Kyoto compared to the large demands of singles. Building new mansions and apartments doesn’t come easy. There are various restrictions in order to conserve the townscape of historical buildings and complicated rights of land owners who have inherited their land by their ancestors. The property supply doesn’t meet the demand. This is a great news for investors who want to hedge the risk of empty rooms. High-income people in Japan prefer to buy their second houses in downtown Kyoto near a station, where they can easily visit from their home in Tokyo or Osaka by bullet train. These easy-to-access second houses are more popular than summer houses in forests, where they can only access by car via highway. 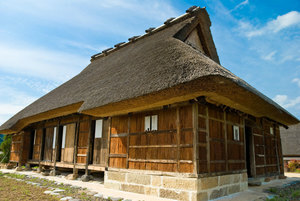 “Katsura” and “Tanoji” districts are highly recommended for investment. Katsura is a quiet area, located around the middle between Osaka and Kyoto. All trains stop at Hnkyu Katsura station including commuters limited express, rapid, and limited express trains. The station also has Kyoto and Arashiyama branch lines. Katsura is a popular area especially for students and business men who are temporary living in Kyoto for work. It takes only 10 minutes to a major downtown, Kawara-machi. There is also a supermarket around the station, which makes a life a lot easier. A shopping mall is within a short walk or bike ride from the station. It has a great access to various locations if you take a Hanky train. It’s five minutes’ ride to Karasuma station, which is surrounded by a number of departments, and 20 minutes’ ride to Kyoto station. This line also takes you to Umeda in Osaka. Tanoji district has a high capital value, located in the city center. The area is packed with many financial institutions, offices as well as commercial buildings such as famous department stores. 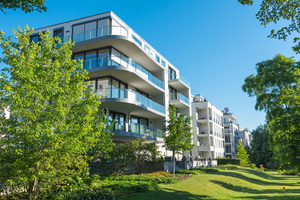 The price of properties in district skyrocketed over the last several years. This steep increase in prices can be similar to the one in the bubble economy. The land value is as high as Tokyo. There is almost no space for a new apartment or mansion. If you come across a profitable property in this district, you can consider yourself very lucky.